Mitsubishi is getting ready for the upcoming Paris motor show with something special and the team is proud of what they have got to unveil at this auto expo. 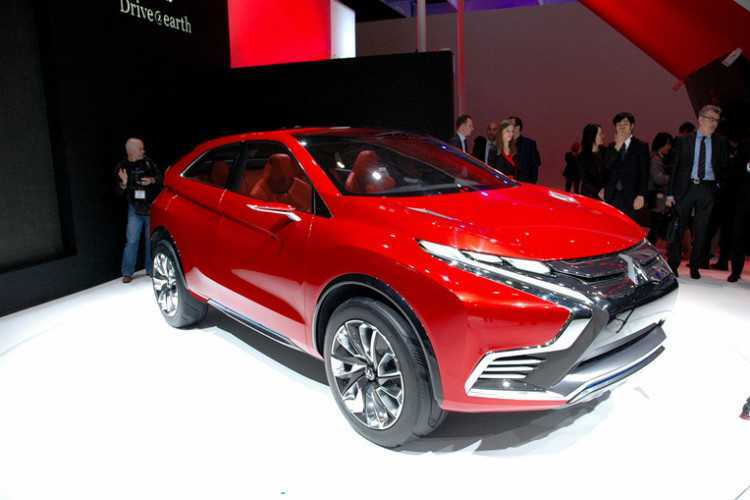 A new update confirmed that Mitsubishi has a hybrid SUV ready to be launched and it will be the vehicle that determines the brand’s future design strategy. There is very little information available about the concept car. The automobile manufacturer is keen on keeping things wrapped up so that they can share it all during the big reveal. From what we know, the SUV is going to look like the Range Rover and follow the design patterns of the popular model. The front fascia of the car will be inspired by the XR PHEV II which was unveiled at the Geneva Motor Show 2015. Based on these details, it is also assumed that the auto company is trying to build a compact supermini SUV to compete with the Renault Captur. Everything is still in its early stages and we may have to wait for the Paris show to commence in order to know more. Of late, almost every automobile brand wants to have newer SUV models up their sleeve. Customer interest is said to be the primary reason for the same. However, industry experts also opine that most find it difficult to create electric cars or autonomous technology. It is still early to come up with perfect upgrades as the companies are getting ready for a 2018 launch. In order to fill up the gap, they are working on best-selling models. It helps keep them sell more cars, make revenue and also borrow some time until the development wing can come up with newer models. Mitsubishi in their statement claimed that their new Ground Tourer is going to be a groundbreaking launch. It is going to bring the best of both worlds together, the unparalleled performance of the off-road models coupled with the state-of-the-art plug-in hybrid electric vehicle technology. A front wheel driving system is supposed to be used in the car. With a huge and reliable electric motor, it should also have impressive mile range and the petrol engine with the lowest CO2 emission. More details on the Ground Tourer will drop in and we will bring it to you as and when it arrives. We look forward to some game changing announcements from Mitsubishi when they drop in at the Paris Motor Show 2016.